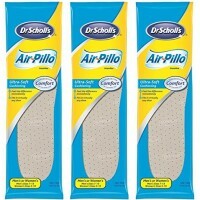 Dr. Scholl’s Insoles Air-Pillo Unisex. 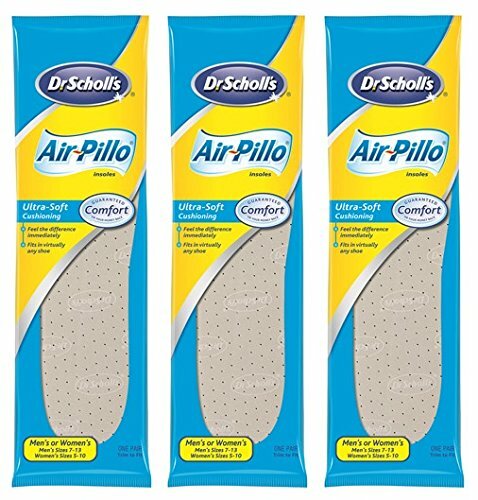 Patented double layer system: top layer of soft cushioning foam provides long-lasting comfort; bottom layer of cushioning foam.bounces back time after time. Cooling vents help keep feet dry. Excellent shoe fit. 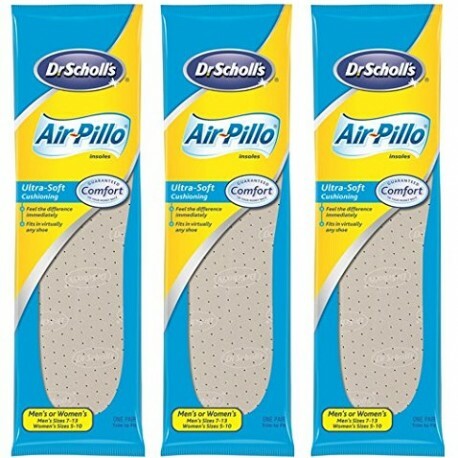 Guaranteed comfort.